Here is my casual bohemian look for an easy going day. I have been feeling quite stressed lately, thinking about my current living situation and where my life is going has gotten me down. I am stuck living in Santa Cruz for at least three more years and this city just isn't for me. There is nothing going on and there is no opportunity whatsoever. I grew up in Hong Kong which is one of the world's busiest and most populated cities and living in a place like Santa Cruz I almost feel dead. So there you have it, the not so happy side of me... and it really reflects how I dress. 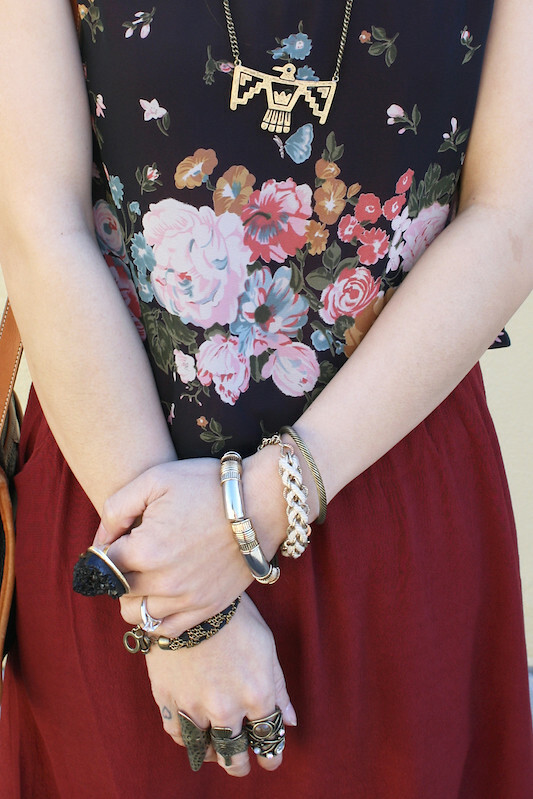 All I have been wearing lately are maxi dresses and skirts or anything that is flowy and easy. 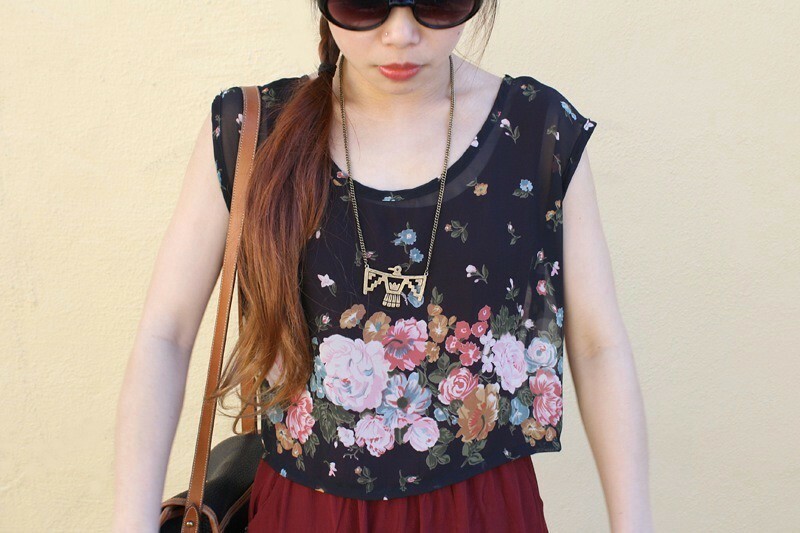 Sheer floral crop top by Audrey from my work Sway. 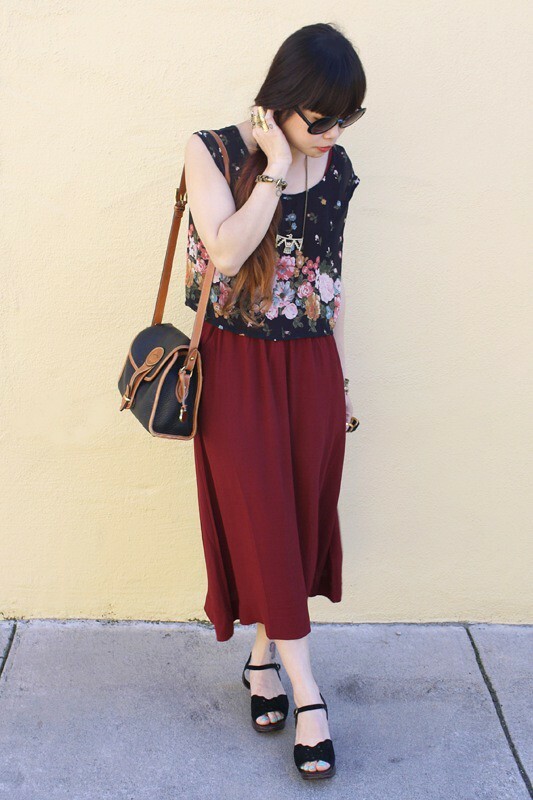 Burgundy maxi dress from F21. Vintage two tone leather handbag by Dooney and Bourke from Etsy. Thrifted vintage sandals with cut out heels. 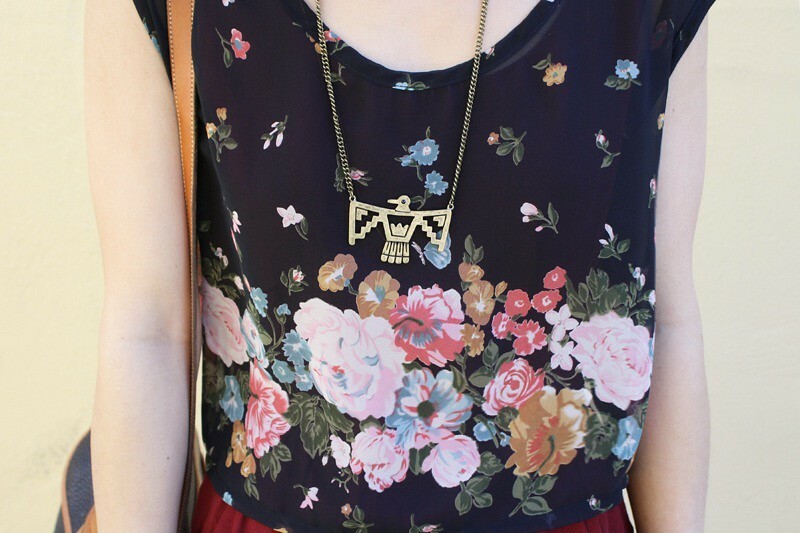 Southwestern bird necklace from F21. Two tone bracelet, black woven chain bracelet, cream woven chain bracelet from F21. Snake wrap bracelet from my work Sway. Giant black druzy ring, multi stone ring, bird ring from my work Sway. 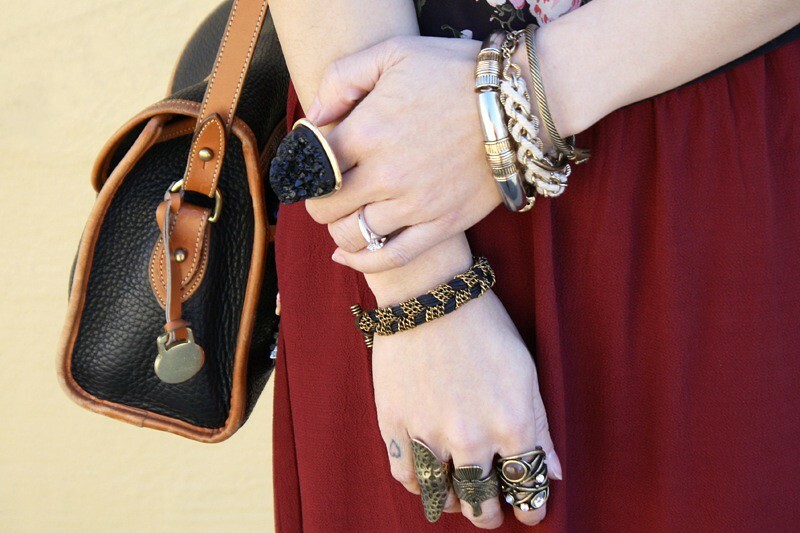 Gold armor ring from F21. 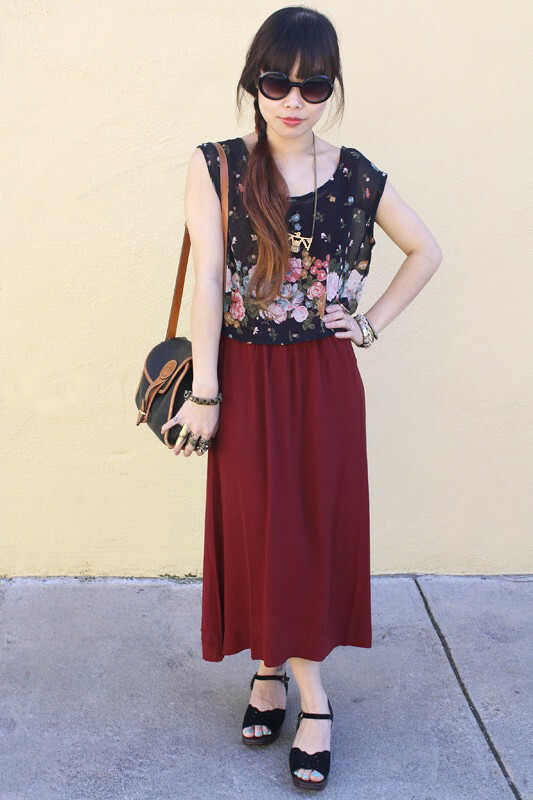 Beautiful outfit, gorgeous flowing maxi skirt. I hope things get better soon! I am glad you are feeling flowers and eagle. sorry you feel that way. i sorta feel the same about miami :( hang in there! u still look cute!!! Amazing outfit I love the shoes they look great!